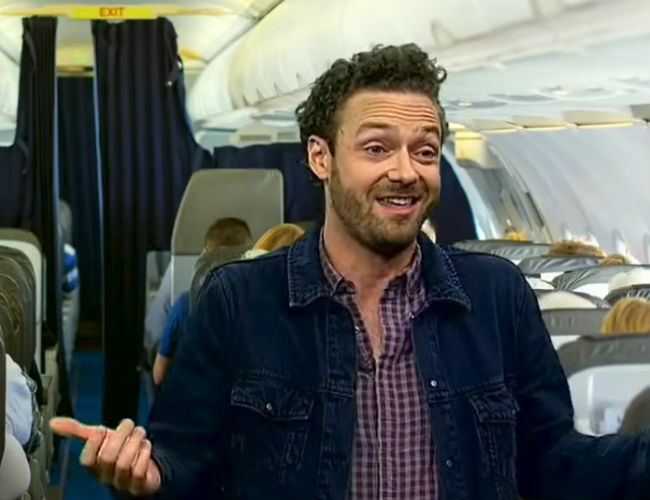 You could be forgiven for being surprised that Ross Marquand, who plays beleaguered survivor Aaron on AMC’s The Walking Dead (to be fair every single last person on the show is beleaguered), is a man of 1001 celebrity impressions. But he is, and damn good ones at that, and the people at Windy City Live, a day time talk show from, yep, Chicago, made good use of that recently use of Marquanda’s prodigious talents, with the talented actor bringing the personas of actors like Al Pacino, John C. Reilly, Kevin Spacey, Michael Caine, Liam Neeson, Sly Stallone and Christopher Walken to bear on some very humdrum life situations. What would Al Pacino sound like if he was trying to vet the validity of scalper-sourced tickets? Would John C. Reilly do a good safety demonstration on a plane and how philsophical would Matthew McConaughey get ordering chicken? We get a pretty good thanks to this inspired piece which proves you can take the boy out of the apocalypse and make him audition for Batman.